There is a sense of magic to October 10th although this isn’t exactly the easiest of times in a year. This is a date when only one truth matters, the one carried in our core, when advice from other people is often wrong or missing important pieces of the puzzle to be complete. People born on this date must learn to rely on their own inner judgment first, so they can function in relationships with others in a deep and fruitful manner. The repetition of these entities in a row speaks mostly of the way Libras born on October 10th are meant to relate in, to themselves and others. Their bonds will be deep and lead to change, and might be colored with aggression, resentment, jealousy or fear if their own depths aren’t properly and tenderly nurtured. They are meant to stop resisting the flow of faith and embrace their role in the world. It might not be perceived as "normal" by others, but their joyous self depends on this acceptance, so their shadows can play in the sand with each part of their personality. They are to embrace their wounds and their pain in order to grow and reach the position of personal satisfaction, creativity and happiness. "A Retired Sea Captain Watches Ships Entering and Leaving the Harbor"
Focused on the past and a bit nostalgic, Libras born on this date are often in retrospection and won’t easily let go of things that once made them happy. Instead of focusing on present times and living in the moment, they tend to get locked away in things they couldn’t let go of and this sometimes makes them less functional than they might be if they simply let go to the flow of life. Joys found in realms of emotion will lead them out of such states and there is nothing really standing in their way of connecting but their own inner struggles. Time presents an important issue in this symbol, and they are to embrace the fact that it is never too late to make themselves happy and connect with their inner shadows to set them free. The intensity of the planetary row of those born on October 10th leads us to believe that their story might be darker than it needs to be. With the Moon as their guiding light, their emotions are to be embraced for what they are, without compromise or rationalization. This will help them function with deep awareness, on intimate levels they are capable to reach. It is in their power to find the peace in their heart as they see the beauty in others and see everyone's inner child without colored goggles of expectation. Their strength is found in purity of heart and they are to spend enough time at home, make it cozy and clean, so they can truly enjoy the moments spent in their intimate world. 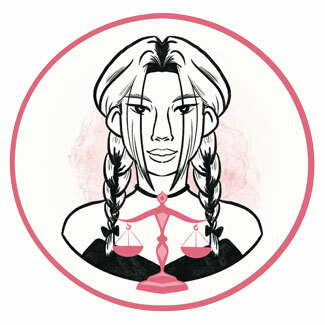 Emotional world of Libras born on the 10th of October is their absolute priority and they want to find someone to build a home with, in peaceful and calm emotional flow. This idea may be a bit tough to manifest, as they have some serious inner battles to conquer until they stop depending on magnetic attractions towards partners who simply spark their ego issues and leave them bruised. Their relationships are often possessive, and they could get jealous or end up with jealous partners who won’t give them the freedom they need to blossom. This speaks of their own inner ability to let go and truly enjoy healthy and honest connections they are meant to create. Difficulties that cannot be overcome may arise in their closest bonds, and this isn’t as inevitable as it might seem. The important thing is to let go, let others do what they wish to do, and form healthy boundaries towards everyone they get close to, so they can nurture themselves first, and care for the relationship only once they are whole. They need someone who understands their fears and readily jumps into deep contact when the time of crisis is there to be dealt with. This will allow trust to grow and connect them to another for a lifetime. 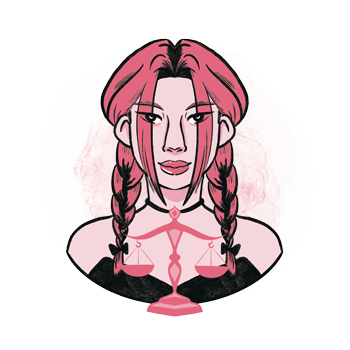 A Libra born on October 10th excels in all things that are deep, research that is hidden from plain sight, physics, alternative methods of healing or surgery, esoteric knowledge and magic. They are to discover that their path isn’t the one that is common, except when they find the right position in banking, credits, loans and dangerous or extreme sports that motivate them to constantly evolve over boundaries of fear. Shungite is a powerful ancient crystal for those born on October 10th. This stone's ability to withstand fire and not melt speaks well of the resisting force of protection it provides those born on this date with. Highly protective and purifying, it aids them regain lost structure to live in the moment and let go of painful memories by obtaining the right grounding and release unconscious fear. It is good to use it around modern technology as it minimizes effects of radiation of all sorts and helps one detox from all outer toxic influences. Those born on October 10th prefer their gifts simple and to the point. They will enjoy something useful, something to boost their creativity and help them feel connected to other people through real talents they possess. Buy something for their home, something with healing energy and just the right amount of darker shade to connect to their pure ideals of living their earthly existence. They will love a salty lamp or really anything that will bring light into their darkness, and enjoy gifts that are small, handmade, and filled with symbolism. Deep, resourceful and ready to act in the time of crisis, their dilemmas and insecurities fade when true help is needed, and someone is to step up and save the day. Their talent for healing evolves as they learn to let go of old emotions and connect in the now. Stuck in the past, resisting the flow of destiny, they might miss out on important gifts of life if they aren’t willing to forgive, forget, and adapt to new circumstances and change. In 1941 Peter Coyote was born, an American actor, screenwriter and directors, recognized for his roles in E. T. the Extra-Terrestrial, Erin Brockovich and A Walk to Remember. Born Robert Peter Cohon, he changed his name to Peter Coyote because he had a hallucination in which he saw his footprints as coyote pawprints. In 1946 Charles Dance was born, an English actor, director and screenwriter, known mostly by his role of Tywin Lannister in Game of Thrones. His father died when he was only 3 years old and he only later learned that his father was already over 70-years old at the time. In 1978 Jodi Lyn O’Keefe was born, an American actress, model and fashion designer, who rose to prominence in television series Nash Bridges. Along with her friend, Victoria Pratt, she is also a licensed bounty hunter. 1846 – Discovery of Triton, the largest Neptune's moon. 1848 – The beginning of the Ten Years’ War in Cuba. 1933 – The first time that an airplane is destroyed by sabotage. 1964 – The first time that the Olympics opening ceremony is relayed live by satellites. 1967 – The Outer Space Treaty and the basis of international space law comes into force. 1970 – The independence of Fiji.